Imagine Furture is the first UK solo exhibition of Hrair Sarkissian from Damascus at The Mosaic Rooms in London, curated by Tate Modern’s curator, Shoair Mavlian. The exhibition brings together previously unseen photographs and new video work. 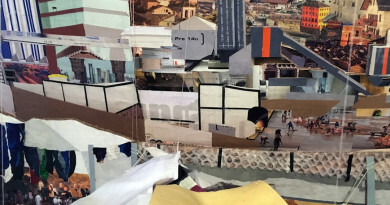 Sarkissian’s practice typically explores one theme or place through an extended body of work. The subjects of his photographs are often unpopulated spaces that evoke the traces of history and memory, simultaneously exploring what is seen and what is not seen. Imagined Futures showcases two projects, made seven years apart, that both deal with issues of temporality: one with a non-time, a suspended unrecognised present; the other constituting a projection from an envisioned future that threatens to rupture the present at any moment. 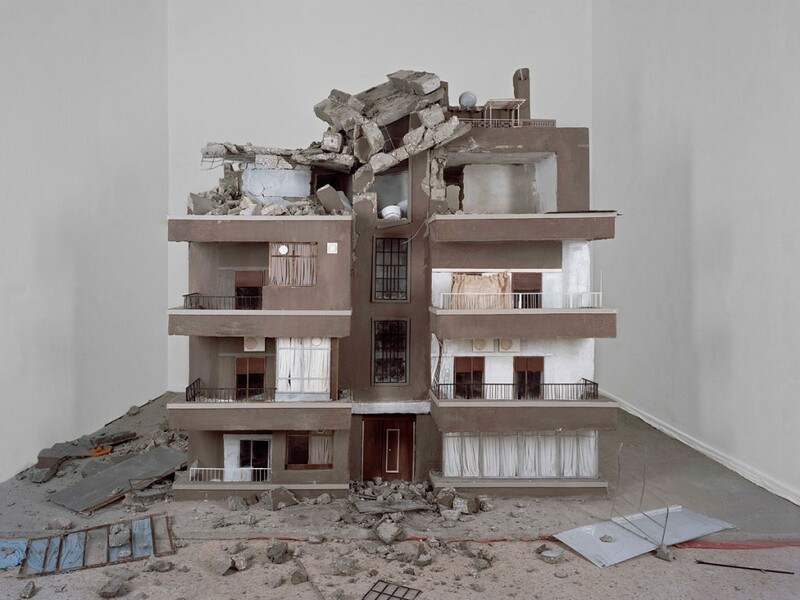 The video installation Homesick is a recreation and destruction of a scale model of the apartment building in Damascus where Sarkissian’s parents are still living. 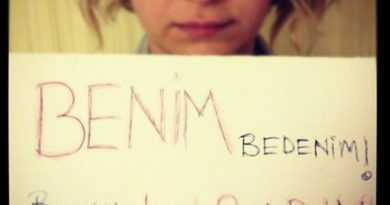 Like many of their generation, they have until now refused to leave Syria. Sarkissian grew up in this building, and lived there until he left Syria in 2008. It represents more than just a house. In addition to providing shelter to his parents, it is the place where he belongs, a container for his memories, and a place for his family’s collective identity. Front Line draws on the artist’s own Armenian identity to contemplate the uneasy predicament of a people and place with an unknown political destiny. 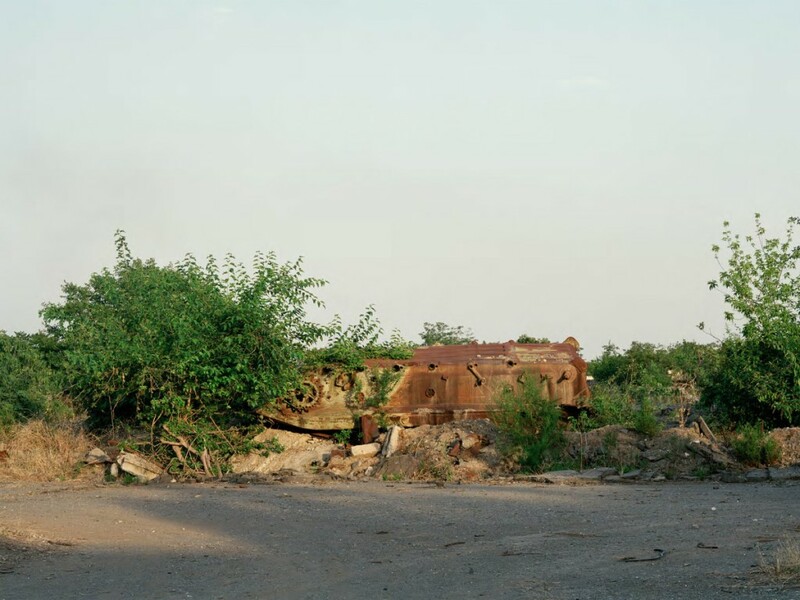 They look at a war-torn enclave between Armenia and Azerbaijan, the self-proclaimed independent Republic of Nagorno-Karabakh. Throughout the centuries the claims over this territory have shifted, the borders been mapped and remapped, yet the repression of the region’s indigenous Armenians has persisted. Alongside the exhibition, The Mosaic Rooms will be launching Sarkissian’s first publication, Background. It consists of a series of photographs depicting photo studios in six different cities in the Middle East. 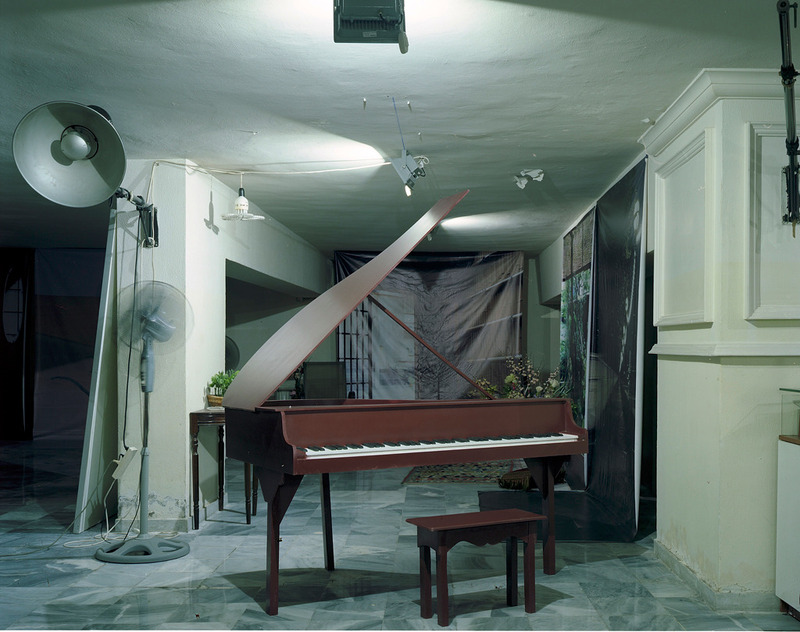 Sarkissian photographed how the studios are set up, focussing on the backdrops each one of them uses, in order to document a certain period within society and its social structure. The project has personal meaning to him, as he grew up in his father’s photographic studio in Damascus.